Who knows what this is? If you’re going to do some great writing this week you need to go and research why this is helpful to scientists and what the technical vocabulary is to describe it! All you can see from space is poo! That is penguin droppings. 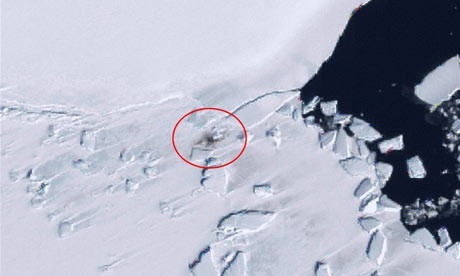 Because there is a lot of it, scientists can find where penguins are if their dropping are near. Some times if you see dirt on the ice it is penguin poo . It is called guano. Scientists use satellites in space to track down penguin colonies; they find them by looking for guano.